A brand new Mac is a semi-blank canvas ready for the owner to turn into their ideal workspace, by adding the applications and utilities they aim to use in the future. AppleInsider has collected together a list of software that those new to macOS may want to install to their new Mac shortly after turning it on for the first time. 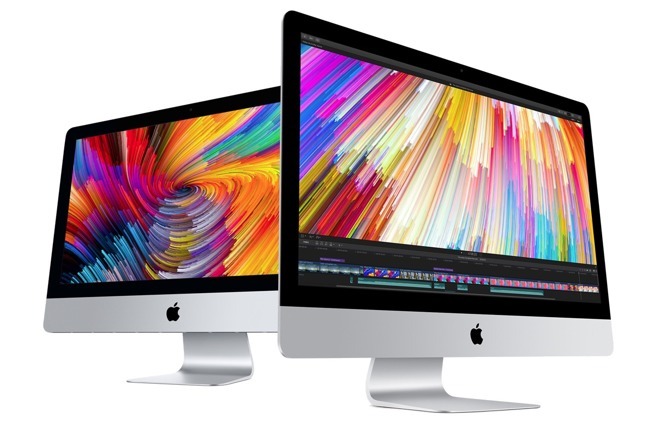 It is worth bearing in mind that all new Mac systems ship with a considerable amount of applications included as part of macOS. Practically most normal uses for the Mac are covered by Apple, including productivity, creative, and entertainment apps, so it is best to look at what is available before downloading anything new. For example, those requiring productivity tools for writing, calculation, and presentations can use Pages, Numbers, and Keynote. Creative users can try out Photos, iMovie for video editing, and GarageBand for music creation, with Mail, Messages, and FaceTime offered as ways to communicate with other people. 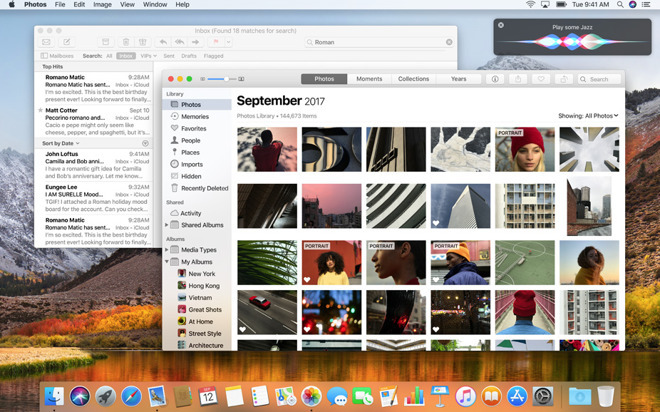 There are many other apps included within macOS, and many more also available through the Mac App Store, which is also used for software updates. Microsoft's Office suite is still heavily used in business, so those needing to use the Mac for work-related purposes may want to consider using an Office 365 subscription. As well as working within the cloud, the subscription also provides the usual array of Office tools for installation, including Word, Excel, PowerPoint, and numerous others, though it may be an idea to see if there's some corporate program that will allow employees to use the suite from home without paying for their own subscription. Want to have an Office-style suite but at a considerably lower cost? OpenOffice and LibreOffice are open-source projects that are quite similar to each other, each offering slightly different tools for word processing, spreadsheets, and databases, and while they rely on the OpenDocument Format for files, they also tend to have little issues opening Office files. By comparison to the above, Apple's built-in office tools are more design-oriented than Microsoft Office, OpenOffice and LibreOffice's utilitarian functionality, giving users the opportunity to put more thought into what the document they are working on looks like. For example, Numbers provides a greater number of ways to lay out a spreadsheet on a page, with a greater emphasis on font sizes and selection and other appearance-based elements. If you need to communicate with team members, there are two tools you really should install. Microsoft's Skype has become one of the main ways to verbally or visually call other people, both on other Skype accounts and on the phone, making it an essential tool to acquire. Some workplaces choose to have inter-office communications through Slack, the chat-based tool for businesses. Though it does offer some video and voice call functionality, the meat of Slack is its ability to create different chat rooms for text and image-based discussions, with it being extremely easy for employees to collaborate with each other on tasks remotely. As a one-stop shop for creative tools, the Adobe Creative Cloud offers well-known applications for design, video editing, and image editing. Photoshop, Premiere, After Effects, and other elements are widely used tools for content creation, but at a fairly high monthly cost that makes it an expensive option unless they are regularly used. A more affordable but still powerful alternative to Photoshop is Pixelmator, the image-editing tool made to take advantage of macOS. Pixelmator offers practically all of the effects and utilities that its Adobe counterpart has, and is also available for iOS, but at a considerably cheaper one-time cost of $29.99. Recently, the developers of Pixelmator released Pixelmator Pro for $59.99, an upgraded version that offers a refreshed user interface and takes advantage of machine learning for some tools, such as horizon detection and object removal. The video editing tool Final Cut Pro is a major competitor to Adobe's Premiere, providing editing, motion graphics, color grading, HDR support, and other elements needed for video projects. Again, the price of $299.99 is high but worth it if a lot of video work is expected in the near future, though those wanting to edit the occasional family video may want to use iMovie that comes free with their Mac. If GarageBand isn't enough for the user, an upgrade to Logic Pro X may be worth a look. This $199.99 digital audio workstation includes a large collection of loops, effects, and instruments, and is built for professional songwriters and editing, though it also works seamlessly with GarageBand for iOS for on-the-go track changes. While GarageBand and Logic Pro X are great for producing songs, you're better off using another tool if you're recording a single sound, such as someone's voice for a podcast. Audacity is a free open-source audio app that offers both a simple recording interface and an extensive list of options for editing the file, before exporting it for use elsewhere. Blizzard is known for its games having Mac support, and most of its current roster is available to play on macOS, including some free-to-play items that include in-app purchases. "Heroes of the Storm" is an action RTS-style game that brings together characters from the various Blizzard franchises into a single battle. Fighting alongside others as one main character, players have to level up their avatar and attack the opposing team's base, while simultaneously protecting their own from destruction. "Hearthstone" is a collectible card game where players use their decks of cards to spawn creatures and attack their opponent, similar to Magic: The Gathering and other titles. An initial deck is provided to players, though booster packs with more cards can be acquired, while adventures provide extra challenges against AI opponents, with extra cards as rewards for successfully completing matches. If you like driving, "Dirt Rally" is a great racing game that takes you offroad and down dirt tracks in a powerful vehicle. Compete against other drivers on roads, mud, and snow-covered countryside, hurtling along while navigating tough corners and avoiding race-ending obstacles. "Elite: Dangerous" takes players to space, piloting their own starship across a galaxy in an open-world adventure. Flying to space stations and outposts, the game starts with a small ship and a few credits with wealth and power within reach, depending on the player's chosen path through the cutthroat cosmos, both in a single-player experience and with others. A slightly different approach to the subject, "Kerbal Space Progam" is a ship building game that often ends in slapstick failure, as players attempt to create a craft capable of getting to the Moon. The comedic NASA-like simulator also includes challenges like constructing and docking with space stations, traversing the solar system, and sending crew out of the ship for "extra-vehicular" activities. While the Mac App Store includes a large collection of games for the Mac, it is highly recommended to install Steam, the online storefront and gaming service from Valve Software. Aside from the occasional Steam Sales that provide steep discounts on the store's catalog, Steam also provides chat services with other players, friend lists, and other elements developers are able to incorporate into their games for multiplayer purposes. If you have the need to convert video from one format to another, or want to rip your DVD collection to something viewable from your Mac's internal storage or an iPhone, you'll need to get Handbrake. The free open-source tool is a bit tricky to start using, but once mastered, it offers great results for video conversions. Delicious Library is a great app for cataloging collections of media, providing a way for users to see their entire DVD, Blu-ray, and book collection. Using a webcam to scan barcodes and offering a companion app for iOS, the system can also be used to keep track of items that have been loaned to friends and family, recommends new items to buy, and can even total up the overall value of a user's media collection.